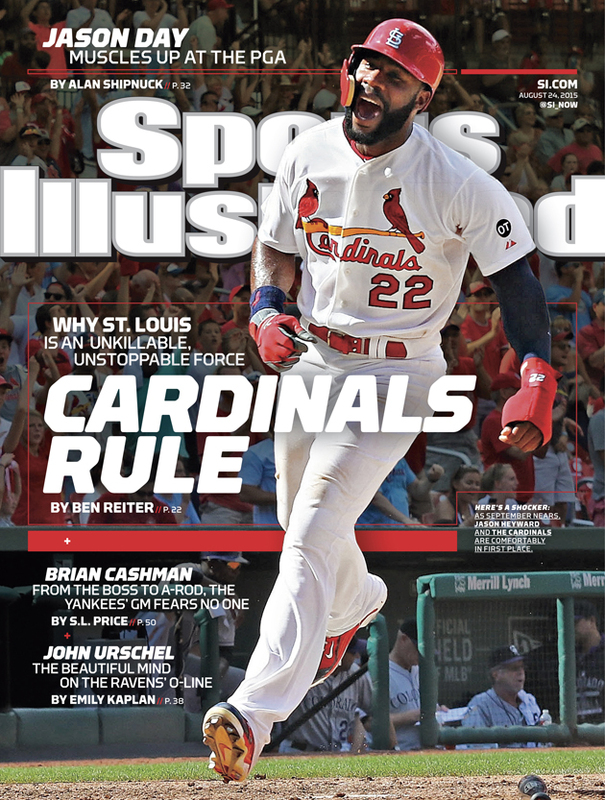 The St. Louis Cardinals are featured on the cover of this week’s issue of Sports Illustrated​ as the leaders of the NL Central's dominance of baseball. In his cover story, Ben Reiter examines the greatness of the St. Louis Cardinals, who have overcome injuries to stars like Adam Wainwright on their way to Major League Baseball's best record. The Cardinals entered Tuesday 76–42. Behind them in the NL Central are two more Midwestern teams on the rise: the Pittsburgh Pirates and Chicago Cubs. In the AL Central, the Kansas City Royals are pushing for another World Series berth, entering Tuesday with the American League’s best record. Also in this issue are stories on Pirates pitcher Gerrit Cole, Yankees general manager Brian Cashman and Ravens offensive guard Brian Urschel.